The world of video surveillance is constantly shifting and evolving as technology becomes more fine-tuned to the needs of users. From police precincts to retail stores to sports arenas, there are few industries in which video surveillance is not already implemented or would benefit from its addition. Learn more about where this technology is headed in today’s blog, below. The future of video surveillance is in sight. There are many industries in which a centralized access point where video surveillance data is stored proves hugely beneficial, and this trend will only continue to increase. Police precincts are a prime example of the need for centralized access, as currently many different types of data are segmented and stored in different locations. For example, data received from body-worn cameras is often stored in a separate location from data captured by perimeter video surveillance systems, and is often even housed on a completely separate server. By storing data in a centralized place, bandwidth use can be significantly decreased and accessibility is greatly increased. Video surveillance systems capture large amounts of data, and this data must be stored somewhere. While storage capacity needs tend to vary according to industry and business types (for example, a retail store that handles money on the premise may need access to files for a longer period of time than a facility that has few people going in and out of the building on a daily basis), there will be an increasing need for manageable storage space for this important data as more organizations recognize the importance of investing in video surveillance equipment. 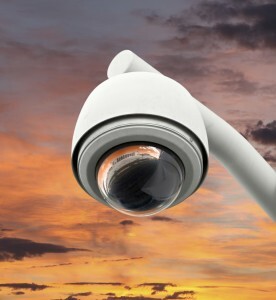 Ease of use will continue to be a driving force in video surveillance technology innovation. Increased resolution is becoming increasingly important, but this must be coupled with more advanced compression software to lower the amount of bandwidth that is consumed. IP-based video surveillance networks will continue to dominate and likely become the norm within a few years as the Internet of Things continues to require greater connectivity between security systems. This entry was posted on Thursday, February 25th, 2016 at 1:32 pm. Both comments and pings are currently closed.